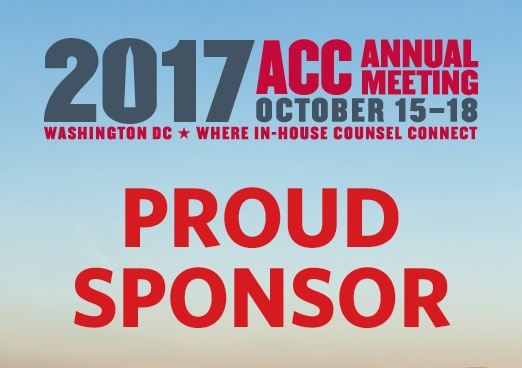 Servient To Discuss Application of Artificial Intelligence for Legal and Compliance Workflows at Annual ACC Event. Servient To Discuss Application of Artificial Intelligence for Legal and Compliance Workflows at Annual ACC Event..
Servient’s machine learning technology has been widely used by legal departments for eDiscovery purposes for many years. But today there is growing realization that the sophisticated machine learning technology can also be applied to other legal and compliance areas of decision-making beyond simple eDiscovery document review. For instance, many compliance-related matters can benefit from harnessing precisely the suite of artificial intelligence capacities that Servient has perfected. The truth is that all human decisions based on examining large amounts of unstructured data can be streamlined in such a way. A very recent case in point, where Servient has been able to leverage its machine learning to enhance efficiency in a non-eDiscovery arena, is its development, in conjunction with client Halliburton, of an international trade compliance application. The dilemma faced by companies is that each and every product shipped overseas must be assigned its correct tariff classification code. There is shipment delay, increased costs and legal risk at stake. Servient saw a perfect opportunity to bring to bear the same machine learning algorithms it has successfully applied to document review and has successfully addressed the International Trade Compliance use case. Starting on Sunday October 15th, Servient will have several of its key personnel on hand at the ACC’s annual meeting at Booth 415 to share with guests and prospective clients the benefits to partnering. If you are intrigued by the expanding range of opportunities for utilizing artificial intelligence in legal and compliance settings, seek us out at our booth at the ACC gathering. Servient will be happy to elaborate, and to discuss your particular challenges. If you will not be attending, reach out to us at sales@servient.com for more information. The 2017 annual meeting of the Association of Corporate Counsel will take place in Washington, D.C. on October 15-18, and Servient, Inc. will be there at Booth 415!